This past weekend’s Indy 500 is probably the 10th time we’ve been a part of this event. Over the years I’ve watched the physical plant evolve and observed changes in the way in which the event is managed. Skill 3 – Building Successful Relationships – there are all kinds of people associated with the business of producing the spectacle called the Indianapolis 500. Many of them, particularly some of the drivers, owners, team managers, officials and pit crews have fairly strong personalities. Despite a huge amount of talent and some pretty Type A personalities, all these people come together and create solid working relationships to create this event. Competition? Certainly, but plenty of cooperation among the various functions within that spirit of competition. It’s exciting to watch; it’s almost ballet. Skill 4 – Managing Others – IMS is a big place with lots of different functional teams working together. Still, in each team, there is a “boss” of some sort; the person who choreographs the team’s activities and directs its reponse to rapidly changing circumstances. In the pits it may be the crew chief who directs the pit crew as they refuel and change all four tires in less than 10 seconds. All around the track there are teams who spring into action when an emergency occurs. In the stands the staff in their yellow shirts handle some 400,000 fans and help keep them safe. But in every case there is a manager or team leader who helps keep the team focused and supplied with information. When you manage you fulfill a number of different roles in the course of your work. In this post I’d like to take a brief look at two of those roles; Teacher and Coach. 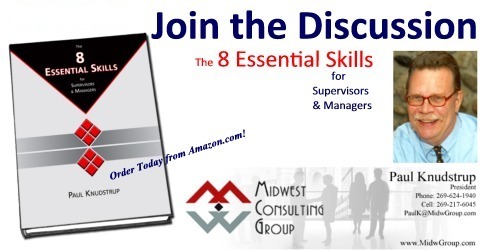 Managers and supervisors work with employees who have a wide variety of skills and knowledge. This means you’re frequently placed in the role of teacher with employees, particularly if they’re new to your organization or team. You will, in effect, be teaching them how to do their job. At the very least you’ll need to teach your employees about the expectations that will affect their success. You also teach employees what they need to know to help them be ready for new challenges and opportunities. Being a mentor is a form of teaching; you are imparting knowledge that will help the employee prepare for a new assignment, position, or project. The role of a coach is different from that of a teacher. As a coach you’ll be a guide, motivator, encourager, and supporter in your interactions with employees. When you coach employees you’re less focused on telling or showing and more focused on asking questions or involving them in figuring out what needs to be done and how to do it. When you coach employees you’re actively demonstrating your confidence and trust in them. If you don’t trust your employees to do their jobs, then you either have the wrong people in the jobs or you haven’t sufficiently trained them. In either case the problem isn’t with your employees but with you as their manager. What do you think? Are you teaching and coaching your people?